Sure, sure. 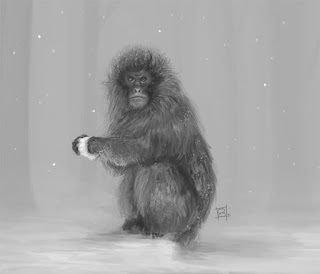 My friend really likes snow monkeys, so I felt compelled to paint one. Didn't spend too long on this one, only about an hour and a half. Or anyways, that's not particularly long for me. Now I must shuffle off to bed, before this night turns into another late one - although I guess by most standards, it already is.